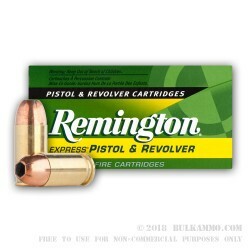 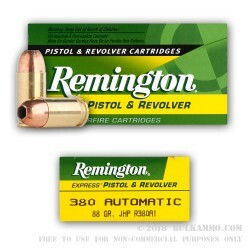 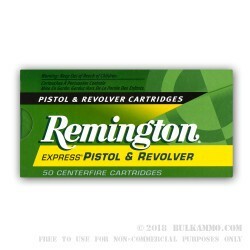 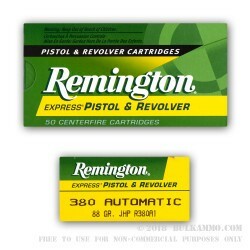 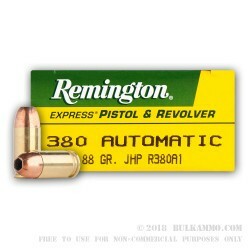 This is a budget friendly 380 self-defense ammo from Remington that's an excellent choice for range training or self-defense for your little pcoket carry pistol. 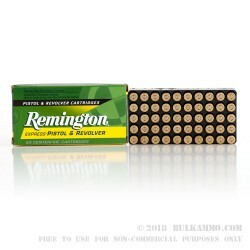 Remington ammo is manufacturered here in the United States and these rounds featured an 88 grain, jacketed hollow point bullet. 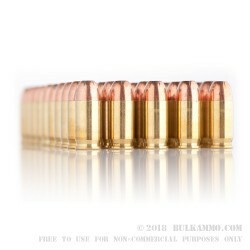 This bullet is engineered to expand when it comes in contact with a soft target. 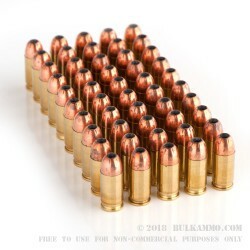 That means if you need to draw your firearm on a threat, this ammo is designed to leave as wide a hole as possible in that target. 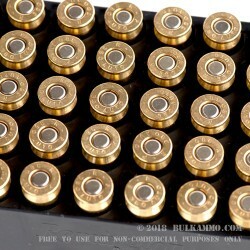 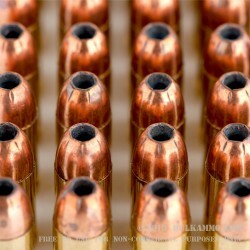 When you order this ammo, you'l get a bulk pack with 500 rounds of 380 ACP ammo ready to load and fire immediately.